Equine Compare News: OPPORTUNITY FOR HUGELY DISCOUNTED HORSE ARC! OPPORTUNITY FOR HUGELY DISCOUNTED HORSE ARC! The first person to order either arc will get the discount, only one available at this rate! 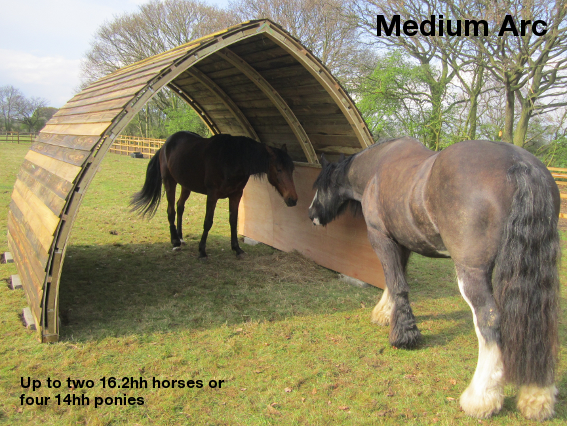 If you are interested, contact Horse Arc ASAP, your order must be placed withint the next couple of weeks to give them time to build and photograph the arc. When you are ready to move your arc, you simply attach the tow bar, lay the Eco Grid matting tracks in front of the arc and glide the arc over the tracks. Simple! £250 for the Large Arc. 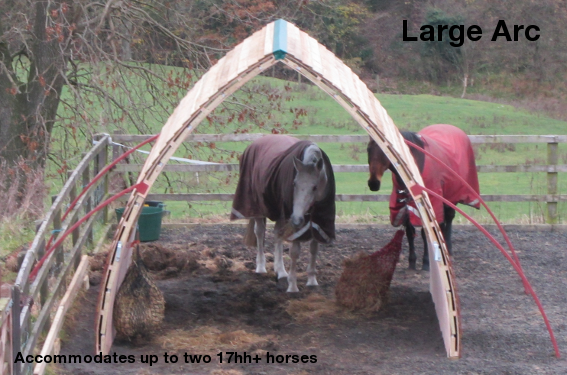 The first person to order an Arc and towing system this month gets this special discount, only one available and 50% deposit required within the next couple of weeks to allow the Horse Arc team to come and build the arc and take photgraphs. Contact Kelly to place your order.